The default button assignments for the Harpo BraillePen 14 are listed below. 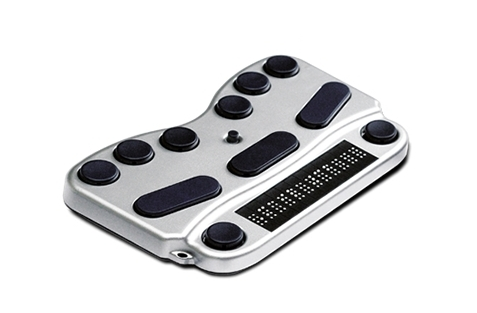 You can also discover what your Braille display buttons do by using SuperNova's and ScreenReader's Key Describe Modes. To use Key Describe Mode, simply press CAPS LOCK + FORWARD SLASH and then press the buttons or button combinations on the display to find out what they do. To leave Key Describe Mode, press CAPS LOCK + FORWARD SLASH again.